What is a sdz file and how do I open a sdz file? The SDZ file extension is commonly used by games created with Spring. Spring is a real-time strategy game engine that saves game files as a compressed ZIP format but instead of saving under the .ZIP extension, it uses the .SDZ file extension. These files are used for computer artificial intelligence scripts, graphics, maps and other game content. The SDZ files saved as a ZIP format can be accessed by any ZIP decompression utility. Compressed Structure Data Files that utilize Gzip compression works to reduce the size of the SDF file and consists of a database of NCI Open Database Compounds. These are molecular structure datasets that are being used with cancer research. 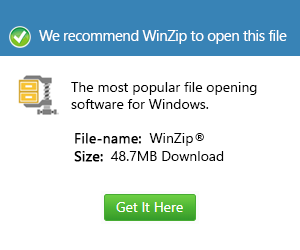 With the help of a compatible Gzip decompression program and by renaming the file as an SDF.GZ file extension, the user can now open an SDZ file extension. Programs that can open SDZ files include Apple Archive Utility, Corel WinZip 16 Pro, Smith Micro StuffIt Deluxe version 2010 and 2011 and ConeXware PowerArchiver.